Extreme Book Face Swap. F. Scott Fitzgerald - The Great Catsby . 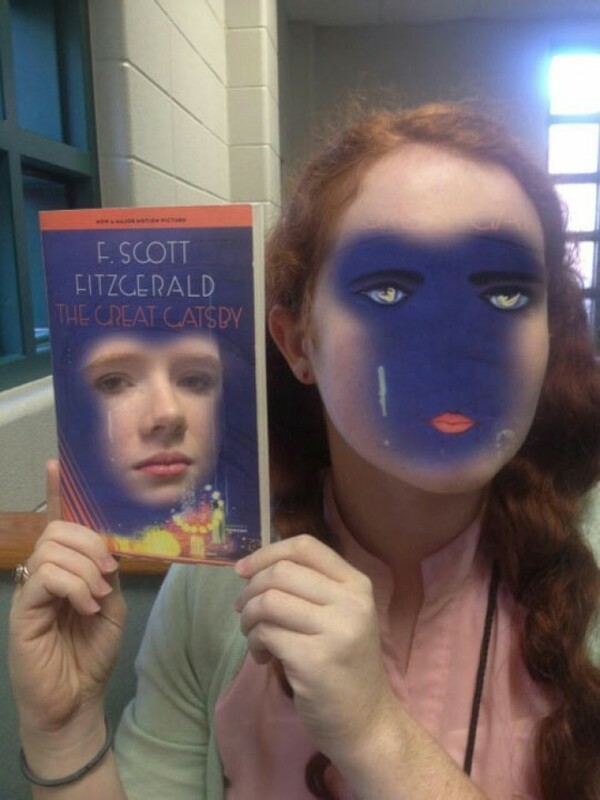 Girls face swap with face on the book cover.